Sparkle Power SPI150FA Power Supply 100-240VAC to 3.3V & 5V +/- 12V 150W NEW!!! AVR response: 20ms. Regulation: ±1.0%. Resistance: 15 ohms minimum. We will try our best to reduce the risk of the custom duties. Current: continuous 4 A DC. Typical system response Filed current to 90%: 80ms. 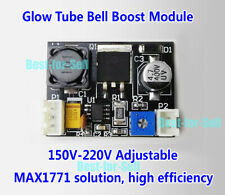 The boost module adopts 12V power supply, MAX1771 program, stable step-up, easy to drive multiple glow tubes, low heat, no need to add heat sink, small size, with shutdown function, through the MCU will be pulled SHDN pin high to close Boost module. 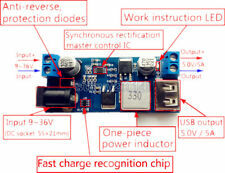 The output voltage is adjustable from 150V-220V. Size: 3.9cmX2.9cm 1.2cm thick. 24 ~ 32V Input: Output 5.2V / 5A / 25W. 9 ~ 24V Input: Output 5.2V / 6A / 30W. 32 ~ 36V Input: Output 5.2V / 3.5A / 18W. 3: Output capability. Trending at C $1.50eBay determines this price through a machine-learned model of the product's sale prices within the last 90 days. The LT3045 is connected in parallel and the noise is lower than 1UV. Board size 90 92MM. AVR response: 20ms. Regulation: ±1.0%. Resistance: 15 ohms minimum. Current: continuous 4 A DC. Filed current to 90%: 80ms. Detail Image. Typical system response. Note that there is no ignition cigarette function. The output is 2 high temperature and pressure silicone wire. Input current: 2A-5A. Input power cord length: about 100mm (red line is positive). High-pressure type: pulse current type. This module has perfect protection function, can be applied to solar charging. Output current: 10A (MAX) within 7A long;. 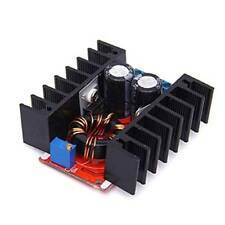 Oxidation heat sink heat dissipation, heat dissipation effect better than the effect of aluminum;. 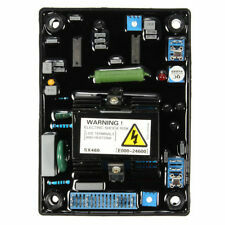 As a module power output module, can not be used as a sensor. Module size: 50 25 10mm. 1X DC to DC regulator module. OutputPower: 180W(The biggest). OutputCurrent: 5-6.5A(No pressure drop). Overload protection current ＞6.5A. We are always willing to work things out. We don't know how long it was in possession of the original owner. Condition: New, unused. We can’t call them "new" because they have been pre-owned. If the item itself has scuffs or scratches we will clearly state so (but any such wear due to handling is purely superficial and will not interfere with the correct functioning of the device). 1pcs CUS250LD-5 TDK-Lambda. Power Supplies. Which is specifically part CUS250LD-5 only; any accessories that may be shown will not be included. Images could represent a series that may have multiple options e.g. colour, size, value etc. as well as other optional accessories, which are not included herein. 1pcs CUS250LD-4 TDK-Lambda. Power Supplies. Which is specifically part CUS250LD-4 only; any accessories that may be shown will not be included. Images could represent a series that may have multiple options e.g. colour, size, value etc. as well as other optional accessories, which are not included herein. TODD MAX-403-0512AF POWER SUPPLY 115/230VAC 12/6A 50/60Hz, TESTED. Allen Bradley Power Supply Assembly 1770-P3 With 1772-CA. The LT30451 500mA module uses linear ultra-low noise and ultra-high PSRR architecture to provide accurate low noise and stable voltage output with VIOC source voltage control to reduce heat loss. It is a high performance low dropout linear regulator module. 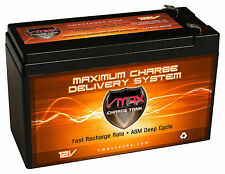 An upgraded version of the LT3042 with a single module current of up to 500mA. Currently used in RF RF circuits, professional-grade audio ADC / DAC circuits, etc., its applications range from the laboratory to the demanding space radar requirements. 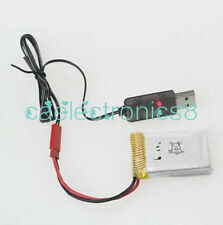 Enter the basic parameters: DC 3.3~20V. Output basic parameters: 0~15V@500mA, the default is adjusted to 3.3V output. Module PCB size: 16x23mm, pin pitch 2.54mm. Original Bourns Burns 3224J multi-turn trimmer potentiometer, precise adjustment of output voltage. 1pcs CUS250LD-3 TDK-Lambda. Power Supplies. Which is specifically part CUS250LD-3 only; any accessories that may be shown will not be included. Images could represent a series that may have multiple options e.g. colour, size, value etc. as well as other optional accessories, which are not included herein. 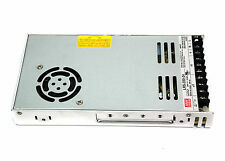 FANUC A06B-6077-H111 POWER SUPPLY MODULE -- NEW!!! Micro Automation Inc MA020P1 Input Class 2 Supply 28VAC @ 2.0 Amps ! NEW ! 1pcs ZWX180 TDK-Lambda. Which is specifically part ZWX180 only; any accessories that may be shown will not be included. Images could represent a series that may have multiple options e.g. colour, size, value etc. as well as other optional accessories, which are not included herein. 1pcs CUS250LD-12 TDK-Lambda. Power Supplies. Which is specifically part CUS250LD-12 only; any accessories that may be shown will not be included. Images could represent a series that may have multiple options e.g. colour, size, value etc. as well as other optional accessories, which are not included herein.